1- On the morning of 12th of June, 2016, a horrible carnage took place in a nightclub in Orlando, Florida, and the Arabic website of the CNN channel asserted that the American authorities announced that Omar Seddique Mateen, 29, an American citizen of afghan origin, was the perpetrator of such terrible attack, and he was working as a private security guard, which allowed him to hold a weapon license, and that he phone-called the cops who were surrounding the location of this terrorist attack, declaring himself as an ISIS member. The website mentions that he was interrogated earlier by the FBI as he was suspect of being affiliated to Islamist extremism, but he was no accused of anything, and that he was on probation list of ISIS-sympathetic suspects. The CNN website has published recently a statement issued by an ISIS spokesman, which goes as follows: "With the aid of God, our brother Omar Mateen, one of the Islamic State soldiers in the USA, managed to plan and execute a raid against crusaders who gathered in inside a gay club in Orlando, Florida…God helped him in causing the heavy losses, killing and injuring more than 100 among them, and it is noteworthy that this is the biggest raid against the USA in terms of the number of the dead, after the Manhattan raid 16 years earlier…". The CNN website commented on the attack, asserting that the terrorist attack perpetrated by Mateen occurred after the by-the-end-of-May audio message by Abu Muhammad Al-Adnani, the spokesman of ISIS, in which he called for launching terrorist attacks against Europe and the USA during the month of Ramadan. 2- The tragedy here is not confined to the number of innocent victims among the dead ones and the injured, but it extends to the following points. 2/1: The attack lends credibility to the point that ISIS terrorists reached into the depth of the American society, as such terrorists would set the timing of their attack beforehand and execute it within this declared timing, within total inability of American apparatuses, police, and security forces to ward off the ISIS danger. 2/2: The attack lends credibility to the point that ISIS terrorists use intellectual war of ideas to easily recruit American Sunnite youths; it is suffice for ISIS members to deliver their commands online to find volunteers to readily execute the terrorist operations. 2/3: The attack lends credibility to the point that ISIS terrorists manipulate Sunnite American youths who have been prepared and brainwashed inside Wahabi Sunnite mosques in the USA, urging such youth to become 'martyrs', especially during the month of Ramadan, when Wahabi Sunnite mosques in the USA perform prayers and sermons that urge and incite Wahabi jihad against the USA and fan sentiments of animosity and hatred toward the American society. 1- Within total inability of American apparatuses to face and confront the intellectual war of ideas, the future would carry more terrible, dangerous, and horrendous carnages to occur. 2- The American apparatuses are still facing ISIS terrorists with weapons and bullets only; this is not enough, as bullets never kill off ideas. Even if all terrorists around the globe would be hunted down and collected in one location to be killed at the same time, their existing and persisting ideas of religious terror will produce other millions of terrorists who will be fiercer and more revengeful than ever. Even if the USA and its allies would annihilate ISIS members completely within military attacks, other terrorist organization would soon emerge that will be more dangerous and blood-thirsty that ISIS. 3- As long as Wahabism is being spread by all American mosques, Wahabi schools, and Wahabi centers inside the American society, more carnages of biblical proportions will occur, and the worst is yet to come. 1- Facing the terrorist Wahabi thought is impossible unless it is faced and refuted within an intellectual school within the religious culture of Muslims; this is the specialty field of us, Quranists, as we have succeeded in this field for more than thirty years despite our modest means. 2- The International Quranic Center (IQC) is an American organization that includes hundreds of Islamic intellectuals and scholars who call for peace, religious and political freedom, justice, human rights, and human dignity. And the IQC within this website, www.ahl-alquran.com, successfully faces and refutes Wahabism, despite the fact that all writers and contributors to it are volunteers with bare hands and modest means who unite in facing and refuting intellectually, and within the Quran itself, the widespread Wahabism all over the globe, with its countless Wahabi mosques, originations, centers, institutes, and clergymen. 3- This IQC has been for years outspoken and vociferous in the USA in calling all parties concerned to cooperate with it in launching a counter-attack of intellectual war of ideas against ISIS and Wahabism, and this counter-attack will use the cyberspace, drama, and programs and will undertake the reform of American mosques controlled by extremists; yet, so far, our call for cooperation falls on deaf ears. 4- The president of the IQC, Dr. Ahmed Subhy Mansour, has before delivered a speech within a hearing session in the Congress, on how to face the threat of the terrorist MB group members inside and outside the USA, and he has worked before as a Visiting Professor within the human rights program, Harvard University, where he has submitted a research paper on reforming Wahabi schools in the USA. He has worked before at the National Endowment for Democracy , where he submitted a research about( Democracy in Islam,) and ( US commission on international religious freedom) in Washington, where he has submitted a research paper titled "Religious Freedom between Islam and Wahabi Extremists". He has worked as well in Woodrow Wilson Center, where he has submitted a research paper titled "Rules of Engagement in War of ideas against Terrorism". He has authored and published on his website, www.ahl-alquran.com, thousands of fatwas (religious edicts or views), articles, researches, and books, mostly in Arabic, and some of them have been translated into English, including the book titled ''The Cursed Religion of ISIS'', published in Arabic and in English. 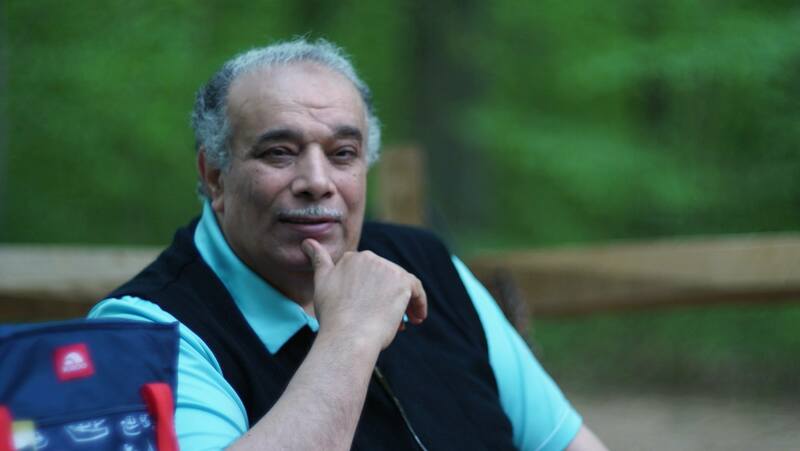 5- The biggest tragedy is that the call of Dr. Ahmed Subhy Mansour has reached the American apparatuses concerned to cooperate with them to defend American soil against the danger of ISIS, presenting to them projects that are easy to launch and execute, but Dr. Ahmed Subhy Mansour has received no reaction except indifference and being deliberately overlooked. We sincerely and devoutly pray to God that the carnage of Orlando, Florida, will NEVER occur again elsewhere in American soil.